You are here: Home / Inspiration / Why do you Love Yoga? My friends over at @Carleton_U are running a contest encouraging students to share why they think Carleton is a great university. I thought it would fun to do the same with yoga. If you would like to share some of the reasons why you love yoga, leave a comment here or tweet them using the hastag #iLuvYoga. 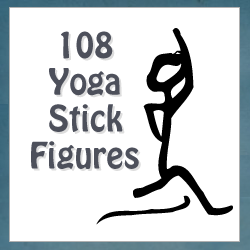 You will be entered in a draw for a set of downloadable yoga pose drawings. On Sunday, October 9, I will compile the comments and tweets and randomly select the winner!